In subsequent photos we can see a lovely moment between the bride and groom and then the exchanging of the wedding rings. In the first photo I really zoomed into the image in order that the wedding rings and the bride and groom's hands filled the frame. 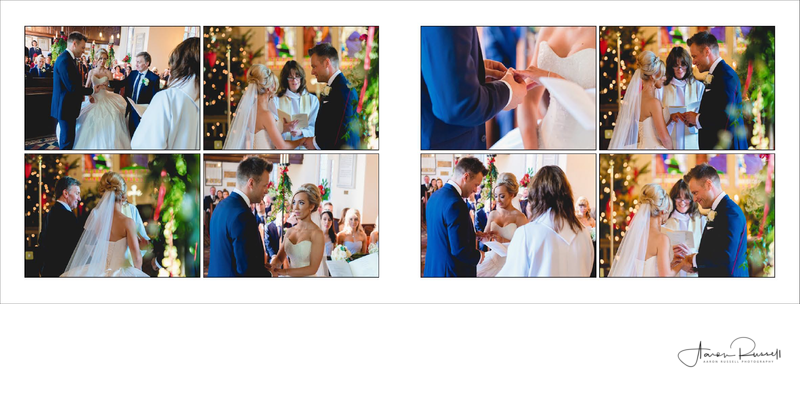 The final two images (on the right hand side of the page) show an image taken from the back of the church where my associate photographer was standing.